I am a little bit obsessive compulsive. I like to plan things and color coordinate. At work I have this big notebook that keeps all my lists of things to do. That notebook is starting to run out of pages, and I was starting to freak out a little bit. Enter the Whitney English Day Designer. I had seen them floating around Instagram for a while, and I thought they just had an amazing layout. A place for a schedule and a place for a to-do list? Brilliance! I knew I had to purchase one immediately. My Day Designer is one of the best investments I've made in a while. It has definitely helped me to become more organized in my day to day life. I purchased one of the "perfectly imperfect" models when they went on sale, and honestly, I haven't found anything wrong with it. I was really lucky to be able to purchase mine right when I was looking, because people seriously scalp these things!! I love using my Day Designer for a planner mostly at work, but also at home. I use it as my primary to-do list, scheduling out my day and meals. I know a lot of people get really into the pens, washi tape and ribbons, but I don't really. I bought some of the Staedtler pens, so that I could use them for a few different things in my office, not just exclusively for my planner. I know that I am always fascinated by how other people use their planners, so I thought I'd show you how I use mine! Forgive my blurry photo! I was in a rush to take it yesterday! Here you can see how I typically set up my days in my Day Designer. This was a pretty light day, actually, and it was payday! I put my work to-do list starting at the top, and then work down. I put my personal to-do list starting at the bottom and working up. A lot of my personal to-dos often go in the "top three" so that I make sure to remember them. I always schedule my lunch and dinner, especially since we are trying to eat healthy. This ensures that I make sure to pack a lunch (and sometimes dinner if I'm working late!) and don't get stuck ordering out. I plan my blog posts in the due sections, and often end up crossing them out, when I change my mind. I admit that I don't really work well from an editorial calendar. All of my very important dates go on the monthly section. I always refer to those, and then fill them in to the daily schedule as they come up. I try to plan my daily schedule at least two days in advance, but sometimes it is the day before. If I can wrap my head around the next day, I feel like I'm doing good. Sometimes that even just means taking a minute to write down my to-do list before I leave work at night. I hope you find this as interesting as I do! I always feel like a peek into someone's planner is like a peek into their brain! Do you use your planner in a similar or different way? I actually have the Day Designer featured in the picture and love it. I am not busy as I first thought I was now that I write everything down but I have found great value in Whitney's Well-Designed Year course which helps me to plan and create with intentionality. I love my Day designer! I always love to look at how everyone else uses theirs I don't use much washi tape, but I do use it to divide up my to do list into personal and work! I love organization, but I admit, I need to be a little more disciplined. I love planners and organizers like yours! Although I have a bunch of apps on my phone to help me stay organized... I prefer pen and paper! OMG I totally love my Day Designer! Right now I mainly use mine for light planning but I LOVE it so far. Best investment :) Thank you for sharing!! I loved having a planner when I was in college, and miss using it. I tried to use one earlier this year, but I wasn't consistent enough. Maybe it just wasn't the right format! 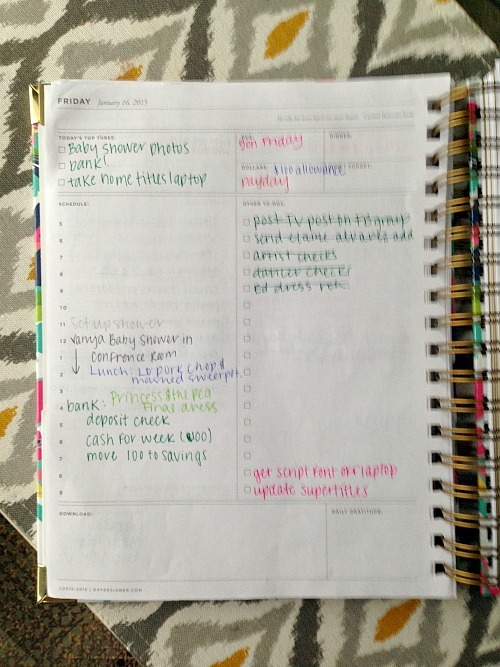 It's so fun to see how others use their planners! Looks like you got a cute one! I am extremely OCD about my planners too and this looks like a great one! I have sen these floating around but haven't checked it out until now!! This may be my new planner next year!! So I bought a planner and printed a blog planner but have not even opened the regular planner! I always have my phone on me so I literally use the calendar and notes f everything. But I can see how it's nice to see it laid out bigger. I wish I was creative enough to use all the ribbons etc! This looks like a great planner! I might have to go with this next year instead of the one I've been using. 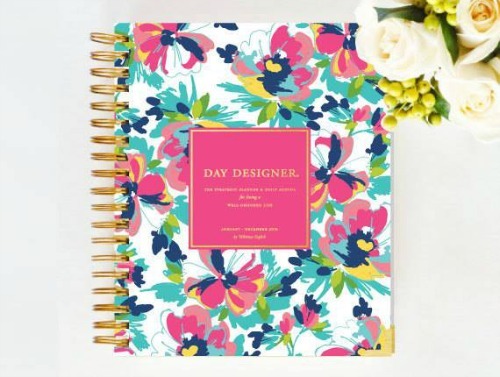 I've had the Lilly Pulitzer planner for years and I love it!! Haha! I've always wanted a filofax. I might try that next. Right? It's like a peek into someone's mind. Thanks! I used to have one that was monthly and then weekly format. I put that one down and didn't really use it. Now that I have this one, and it includes the to-do list, I use it every day. Seriously, it is the best. Some days are light planning and some are heavy. Mostly mine is used for planning my to-do list and meals. Not so much my daily schedule. That's a good idea! I feel like a good divider would be worth it. What do you use to mark what day it is? I've tried printed blog planners, but I can never stick to them. It's funny that I'm such a planner person and I can't even stick to a blog planner! I almost feel like the ribbon and tape and stuff is almost a waste of time. It's very pretty, but I don't really have time in the day for all of that. I love it. Highly recommended. I highly recommend it! They are seriously life changing. I just love that it has room for my daily to do list on the day, and has a monthly section too for important dates. It's awesome! The best part is the amount of space. Definitely an investment! Right! I feel like I need it with me everywhere! I've debated on the extra courses. I'm not sure if I'm at the point of organization where I want to spend the money on them yet though. I do too. I love that this is so easy to use to keep yourself organized!